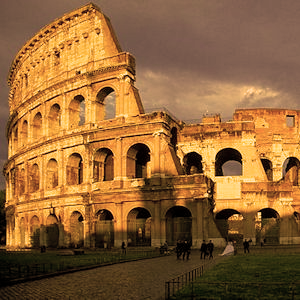 Rome Historical Center bike tour offers a comprehensive view of the major attractions that you can see in Rome. A bike tour that who come in Rome have to do: city center, the ancient monuments, the historical landmarks. You will see the most famous and ancient streets of Rome, the alleys, the cobblestones and the small squares that make Rome a unique city all over the world. You will pass with your bicycle throught the buildings and monuments that will show you two thousand years history of this city: from the Imperial Roman period (Colosseum – Forum – Trajan’s Column) to the Roman Baroque and Neoclassical period (Piazza Navona – Trevi Fountain – Spanish Steps), from the hearth of Roman Popes period (Castel San’Angelo – San Pietro) to the modern city (Piazza Venezia – Ara Pacis).